Timothy Charles Buckley III (February 14, 1947 ? June 29, 1975) was an experimental vocalist and performer who incorporated jazz, psychedelia, funk, soul, and avant-garde rock, in a short career spanning the late 1960s and early 1970s, ending with his death at age 28 from an alcohol-heroin overdose. Buckley often regarded his tenor voice as an instrument, a talent most noticeable on his albums Happy Sad, Lorca, and Starsailor. Buckley often regarded his tenor voice as an instrument, a talent most noticeable on his albums Happy Sad, Lorca, and Starsailor. His first marriage was to Mary Guibert, with whom he had a child, musician Jeff Buckley. They divorced in 1968 and after this Buckley would meet with his son only once more. Buckley married second wife Judy Brejot Sutcliffe in 1970 and adopted her son, Taylor. Born in Washington DC, Buckley,an Irish-American, lived for 10 years in Amsterdam, New York, before moving to southern California, initially to Bell Gardens and later settling in Anaheim in 1965. His experiences with music were through his family, artists such as Billie Holiday, Frank Sinatra and Judy Garland being particular favorites in the household. During his childhood, Buckley was a fan of Johnny Cash, Hank Williams, Nat King Cole and Miles Davis, although country music was his foremost passion. Reflecting this, at the age of 11 Buckley learned how to play the banjo, an instrument which his mother had bought to occupy him following a bout of mumps. He attended Loara High School in Anaheim, California, and, amongst others, made friends with Don Gordon, Larry Beckett, Jim Fielder (original member of Blood, Sweat & Tears) and future wife, Mary Guibert. He was an accomplished high school athlete, becoming a quarterback for the school team in addition to getting a place on the baseball team. During this period playing as quarterback, Buckley broke the first two fingers on his left hand but they never fully returned to normal and made guitar playing more difficult. At the age of 15, Buckley abandoned the banjo and moved on to the guitar, playing with Princess Ramona & The Cherokee Riders, a country and western band. However, the lead singer saw Buckley was uninterested and instead suggested he apply himself to the emerging 1960's folk scene. 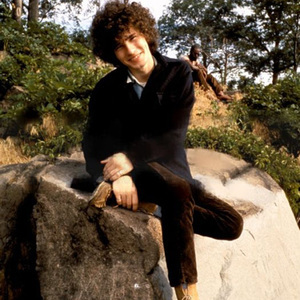 Buckley's career began with his 1966 debut Tim Buckley, its mix of pop and folk rock drawing on popular influences of the time. His popularity peaked with second album Goodbye and Hello, a more mature record with avant-garde influences and political sentiments. In the three years that followed Buckley was at his most prolific and experimental, producing four albums of varying styles. Happy Sad and Blue Afternoon showed Buckley's folk roots while Lorca veered to more avant-garde styles. The final album of this period, Starsailor, is a mix of jazz, funk and avant-garde styles, representing his continual evolution in genre. This period, while garnering some critical success, proved disastrous for his record sales as the disparity of his styles caused his fan-base to all but disappear. Following this Buckley changed genres again, with 1972 release Greetings From L.A., which incorporated the funk, rhythm and blues and soul sounds of the early 1970s in to his music. However, this release and the following album Sefronia did not match up to the success of his previous work. In 1974, having alienated much of his fan-base and squandered money made at his peak, Buckley released Look at the Fool, which was neither well received by the public nor the majority of critics. By this point Buckley had grown disillusioned with the music industry and his drug abuse of the past seven years had affected him. In spite of this, in early 1975, desperate for musical recognition and an escape from poverty and obscurity, Buckley dropped his drug dependencies and engaged the musical press regarding a live album comeback. Buckley began performing material drawn from his whole career as a response to the desires of his audience, desires he had always spurned in the past. However, Buckley relapsed and on June 28, 1975, he overdosed on heroin. His wife Judy, having earlier put him in bed, was unable to rouse him and paramedics pronounced him dead on arrival. He was 28 years old and was survived by his wife and adopted son Taylor, and his biological son, Jeff (who also died at a young age).